RPP Architects has won the European Healthcare Design Award 2016 for Mental Health Design for Old See House, a new community mental health facility located on the Antrim Road, in Belfast. 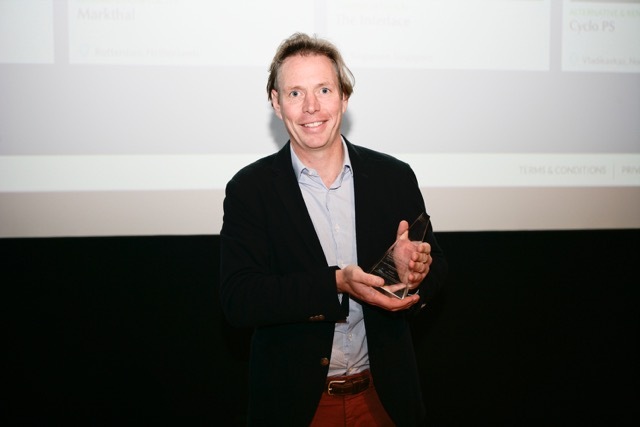 The award, presented on June 30th 2016 to RPP Architects Director, Simon Robinson, at a ceremony held at the Royal College of Physicians, in London, recognises Old See House as an innovative mental health project at the forefront in a new era of mental healthcare design. The local firm won the Mental Health Design category ahead of competition from around Europe, including: Aabenraa Psychiatric Hospital, Denmark; Clock View Hospital, Liverpool and Vallei Project Arkin Clinics in the Netherlands. The design team of RPP Architects and UK design partner, Richard Murphy Architects, in Edinburgh, worked in close collaboration on the realisation of Old See House with their client, the Belfast Health and Social Care Trust. He continued: “Old See House is unique in that it brings together consulting services, clinical and short-stay residential facilities all under one roof, for the first time in community mental health. “From the outset of the project, the focus for both design team and client centred on delivering a place that would remove the perceived stigmas and institutional characteristics associated with mental healthcare and make a welcoming space for those suffering from mental illness, their families, friends and the staff working with them. Old See House was awarded Royal Institute of British Architects (RIBA) National and Regional awards in 2015.